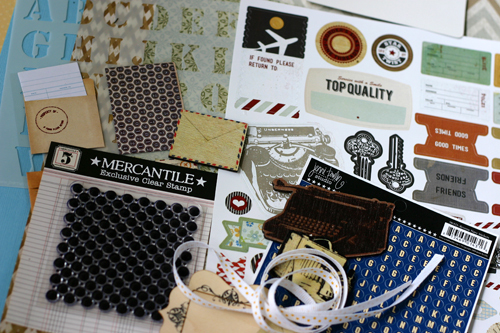 I was so excited when I was asked to be the Guest Designer for December's JBS Mercantile kits. I seriously love Jenni's kits, because they are always a great combination of bright colours but with a lovely softened vintage touch by the inclusion of just the right embellishments. December 2012 JBS Papercrafting kit. Lovely colours that remind me of being home with family and the ending of autumn. Perfect timing for this kit to arrive because I'm scrapping Thanksgiving and fall photos! 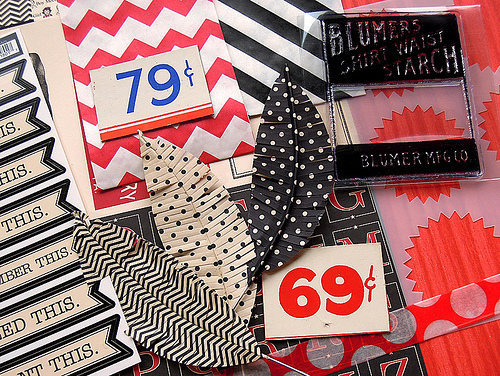 Do you see that awesome chevron stencil? There is also a digital cut file included with the kit so you can make chev cuts, too! 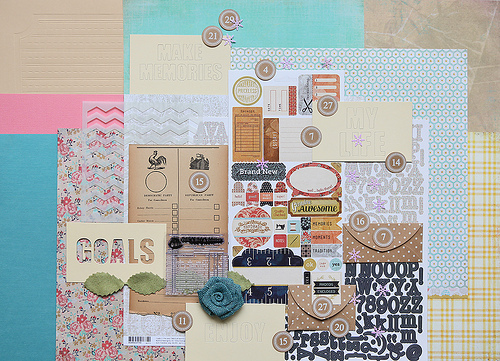 December 2012 JBS Project kit: a mini album kit in beautifiul pale golds, aqua, grey, and white/manilla/kraft. Love that number stencil mask! Awesome! December 2012 Antiquarian kit: I wanted to marry this kit, I loved it so much when it arrived. Do you see those gold feathers? How awesome are they? You know I hugged them when I saw them -- I do love gold and feathers right now! 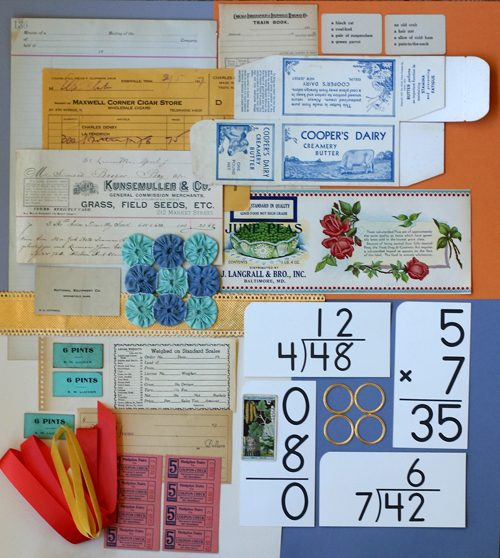 That bingo card is amazing; it is on beautiful thick chipboard and is just fantastic. 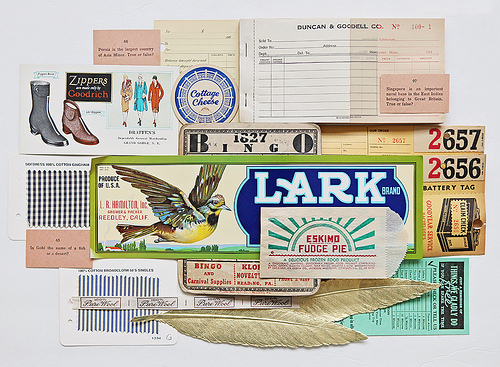 And there is an amazing assortment of ephemera here, too. 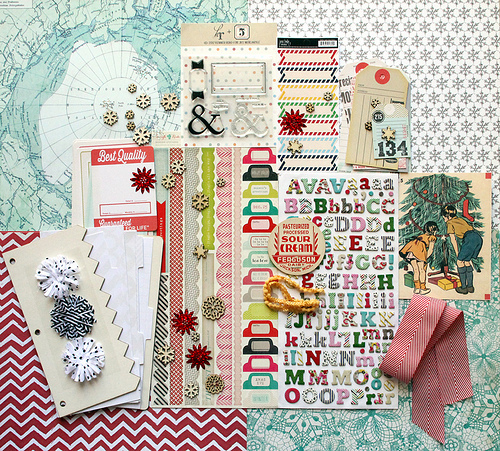 December 2012 Artisan Add-On: this one is chock full of super fun embellishments. 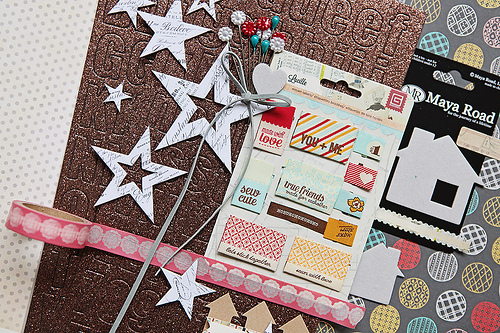 Woven labels, resist stars, tape, pins, houses, glitter letters. GOOD STUFF! 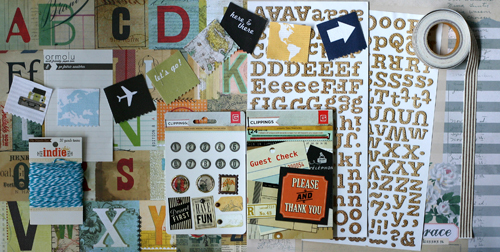 Stop by and check out the projects I made with the December 2012 JBS Papercrafting kit and the Antiquarian Add-On: guest designer layouts at JBS. More to come from me using the other kits halfway through the month! 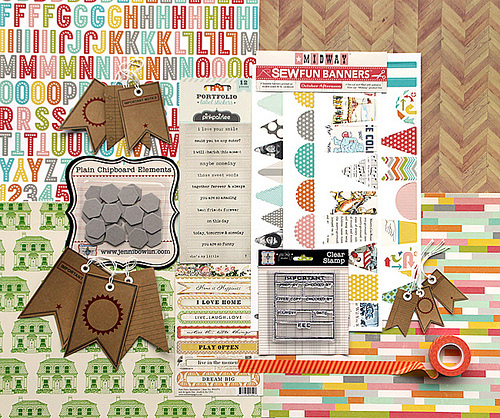 Paper crafting kit: includes patterned paper, cardstock, embellishments and usually a vintage treat or two! August 2012 JBS Papercrafting kit. November 2012 JBS Papercrafting kit. October 2012 JBS Papercrafting kit. September 2012 JBS Papercrafting kit. 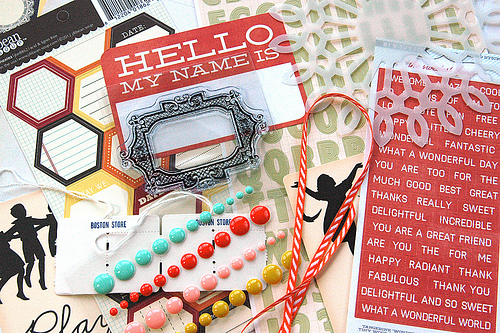 Project kit: everything you need to make a cool non-layout project! 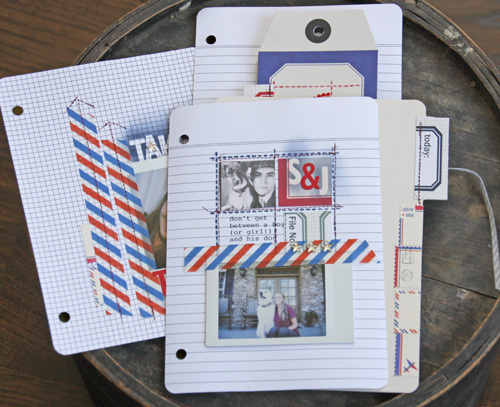 This month was a three ring binder mini album, piles of embellishments, and a stack of paper! Awesome! October 2012 JBS Project Kit. November 2012 JBS Project Kit. Antiquarian Add-On. OH. MY. GOSH. This kit is absolutely amazing and freaking incredible. Nothing but fantastic vintage finds. If you love vintage, you really need to pick this one up. Artisan Add-On. 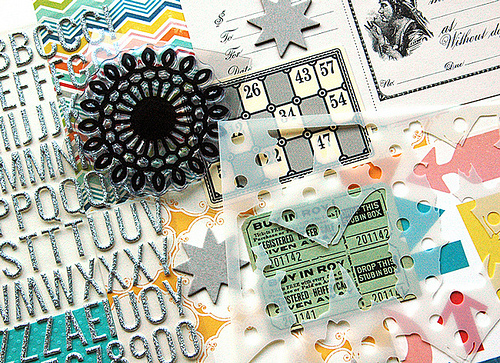 Piles of great paper and super-fun embellishments. August 2012 JBS Artisan Add-On kit.